We stock an array of papers to meet a wide range of project needs. Also available are digital substrates like magnetic, synthetic, and embedded materials. If you’d like to use custom materials, we’re happy to place special orders and stock those materials that you plan to use regularly, such as full-bleed printing papers, customized tabs, and wire style binding. Our wide format machines use rolls of paper and can print up to 42” wide, depending on the substrate. 20#, 32#: regular paper in a variety of weights and colors. Canvas, Glossy, Lustre, Semi-Matte, Matte: used for high quality photographic prints. Also perfect for high quality art reproductions, renderings and posters. White, Translucent: a plastic translucent or opaque media, ideal for screen printing films and durable prints. Somerset Velvet: a high quality, acid free, 100% cotton rag paper, best suited for art reproduction and archival prints. Tyvek: a water-resistant and tear-proof polyester media, good for temporary outdoor signage and waterproof plots or prints. 18#: the “T” stands for translucent and it is an uncoated bond paper. This is a reproducible paper that was once popular during the time of blueline machines. 20#: a translucent coated bond paper, best suited for originals and archive copies. Gator Board: durable board that is ideal for re-use or permanent hanging. It is available in thicknesses of 3/16” and 1/2", in white or black. 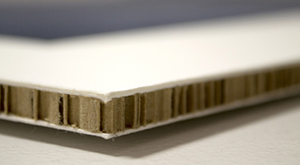 Fome-Cor: standard foam board ideal for single use mounts. It is available in thicknesses of 3/16” and 1/2", in white or black. BioBoard: a 100% recyclable substrate that is manufactured with 63% post-consumer waste and has a visually stimulating edge. It is available in thicknesses of 7mm and 1/2". Our small format machines use cut sheets of paper and can print on sizes up to 13"x19". We offer the following options, all of which are FSC certified. 20#: at 92 bright, we recommend this weight for single sided prints only, with little to no color. 28#: at 100 bright, we recommend this weight for color and duplexed prints. It's also ideal for color specs, flyers, or lightweight brochures. 32#: at 100 bright, we recommend this weight for high quality color and duplexed prints. It's popular for flyers, brochures, and the interior pages of bound books. 60#: ideal for the interior pages of bound books or portfolios. 80#, 100#: ideal for cover pages, postcards, note cards, postcards, posters, and fine art prints. 80#, 100#: ideal for posters, brochures, folded booklets, and the interior pages of bound books. 80#, 100#: ideal for cover pages, postcards, photos, posters, and fine art prints. 100#: linen texture on both sides make this paper perfect for invitations, note cards, or fine art prints. 110#: best for business cards or book covers.